Purpose: Use this document as a reference for closing a receipt in ctcLink. The Close Receipt run control ID search page displays. Select the Add a New Value tab. You can run this process by searching for an existing run control ID or you can add a new value. Creating a run control ID that is relevant to the process may help you remember it for future use. The Close Receipts page displays. The Receipt Close process uses the Close Days field value from the run control when determining if a receipt is eligible for closing. The process subtracts the Close Days value from the current date time value and compares it to the receipt header Last Change Date field value. The system does not change the receipt status to a Complete status unless the last change date on the receipt header is less than or equal to the current date minus the Close Days field value. Select Run. Please refer to the Process Scheduling QRG for further instructions. 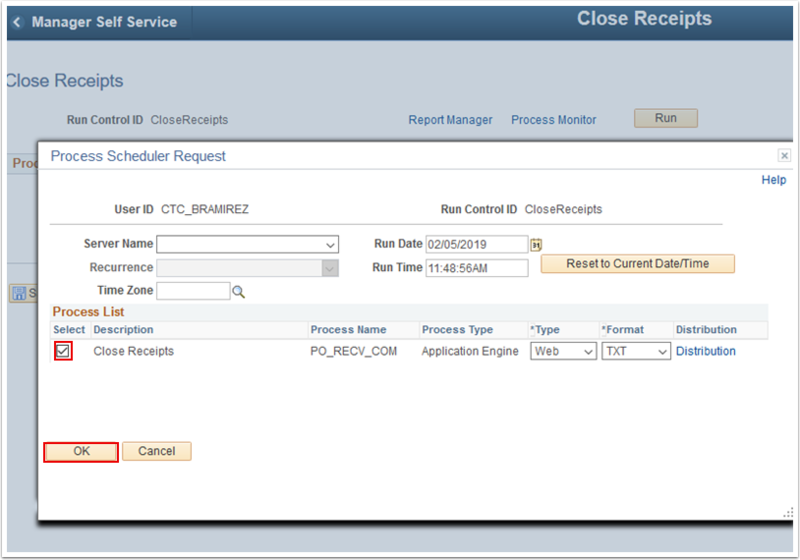 The Process Scheduler Request page displays. Adjust its parameters as required. The Process Scheduler Request page disappears. The updated Close Receipts page displays. Note the Process Instance number. The Process List page displays. 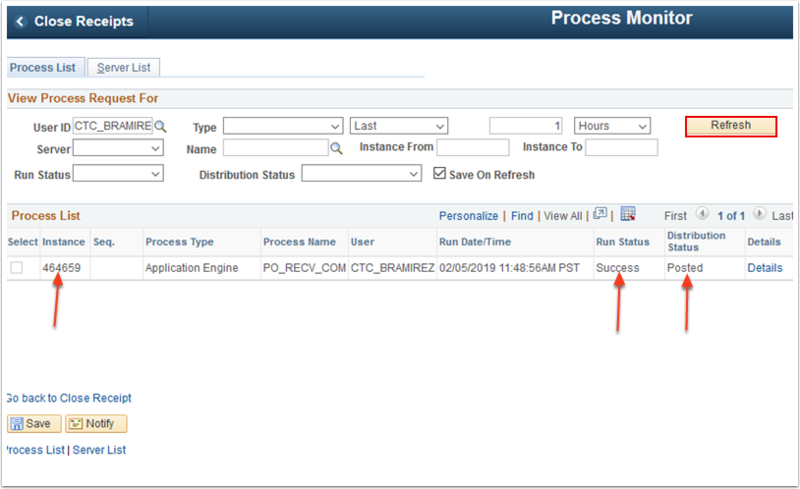 Select Refresh until your Process Instance shows a Run Status of "Success" and a Distribution Status of "Posted".